Supplier Relationship Management consulting company Outperform SRM today announce the addition of a range of specialized Audit Advisory Services aimed at improving the value and return on investment of both existing and planned SRM / SPM initiatives within the global energy industry. As the Oil & Gas Industry continues to focus on cost reduction, improvements to supply chain inefficiencies , and driving value add and innovation, the company has seen an increasing demand for it’s specialized services to ensure that the ethos of working in partnership with suppliers is maximized to its full potential. OutPerform SRM bring to the Market over 20 years of specialized Oil & Gas Supply Chain Consulting experience. The companies main focus is on its three core offerings covering Supplier Relationship Management, Supplier Performance Management and Supplier Risk Management. Supply Chain consulting company OutPerform SRM today announce the opening of their Aberdeen office as the company gears up for further demand in specialized Supply Chain Consultancy Services. As the Oil & Gas Industry continues to focus on cost reduction, improvements to supply chain inefficiencies , and driving value add and innovation, the company has seen an increasing demand for it’s specialised services to ensure that the ethos of working in partnership with suppliers is maximized to its full potential. OutPerform SRM bring to the Aberdeen Market over 20 years of specialized Oil & Gas Supply Chain Consulting experience. The companies main focus is on its three core offerings covering Supplier Relationship Management, Supplier Performance Management and Supplier Risk Management. Outperform SRM have now established a local base to the Aberdeen market to enable them to service their new and existing clients and also drive future growth. For more information on the companies offerings click here. As the demand for specialized value add supply chain consulting services grows Outperform SRM are recruiting a number of roles as part of its 2017 Growth plans. For a full list of current positions being recruited for 2017 please visit our careers page. 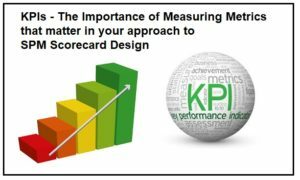 OutPerform Subject Matter Experts, Advisors and Consultants are experienced in designing and implementing Supplier Scorecards and Key Performance Indicator (KPIs) in over 400 Industry specific product, category and service lines. A sample of the business lines that we have previously developed scorecards and KPIs for are listed here. For a Free 20 minute (no obligation) discussion call click here and we will contact you to arrange a suitable date and time for a brief tele call.